Obviously, passenger air service will be affected. Despite claims that the new airline will provide continuity of service, it is likely that neither prices nor service will improve in a monopoly environment. The disastrous recent code-share experiment should be adequate proof that consumers benefit from greater, not less competition. But the proposed merger will not only restrict options for people seeking passenger service. The vast majority of medical travel is provided by commercial carriers, who rely on that contracted service for a large portion of their revenues. Governments will now bear the brunt of having limited options for non-emergent medical transport across much of the northern provinces and territories. Medical travel is already the single largest cost borne by northern health departments. Governments simply cannot afford to pay more to transport people to the south for service. Another consequence will be food costs. 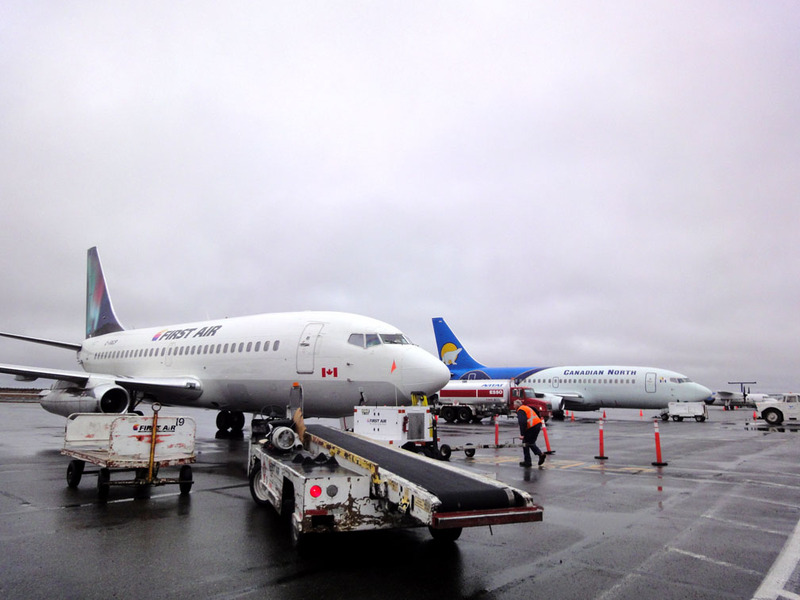 Both North West Co. and Arctic Co-operatives Ltd., Canada’s largest northern grocery retailers, have multi-year freight service agreements with First Air and Canadian North. Though the terms of those agreements are undisclosed, their freight costs have typically been much lower than those charged to consumers shipping subsidized food by direct or personal orders. Consumer freight costs may change substantially under the merged airline, and if retailers benefit unequally from the merger, the result will be a worsening of food cost inequities in communities. Separately, each of these results from the merger would be disastrous for people living in northern communities. Taken together, they represent a spiralling toward greater isolation and hardship for northern people and their governments. After three decades of deregulation under Conservative and Liberal federal governments, the federal policy environment is largely one in which corporations regulate their own activities. Already burdened with the enormous challenge of providing services across vast, remote geographies, northern health and social service providers will now have to cope with the additional challenge of dealing with near-monopolies in both the transport and retail sectors. I hope federal regulators such as the Competition Bureau are watching. There is opportunity here to impose restrictions on the activities of corporations operating in limited markets. The consequences of the proposed airline merger will be far-reaching. Due diligence now will prevent further hardship for northerners. Tracey Galloway is a professor at the University of Toronto, Mississauga. Her research examines the impact of federal policies such as Nutrition North Canada on the health and well-being of Indigenous people.